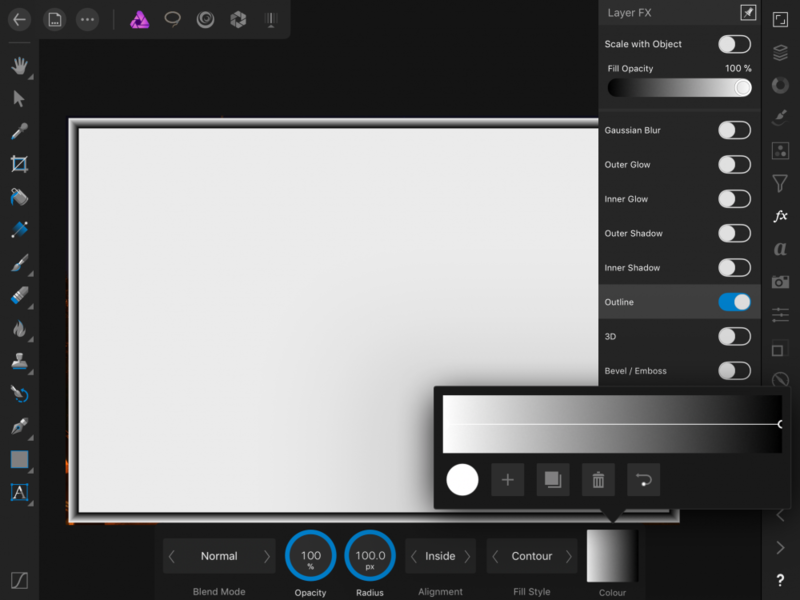 Hi Alfred, not sure if this is what you are referring to but, the Fx studio has an Outline feature. The object fill opacity can be adjusted with the main menu setting and the outline opacity can be adjusted within the context menu 'opacity ' setting. Thanks for replying, @DM1, but what I’m trying to do is this. I can’t see how to achieve the last part of step 3. Thanks for trying, Darren, but you seem to have created a gradient which is solid black at one end and solid white at the other. It needs to be 100% opaque at the inside edge and 0% opaque (i.e. fully transparent) at the outside edge. 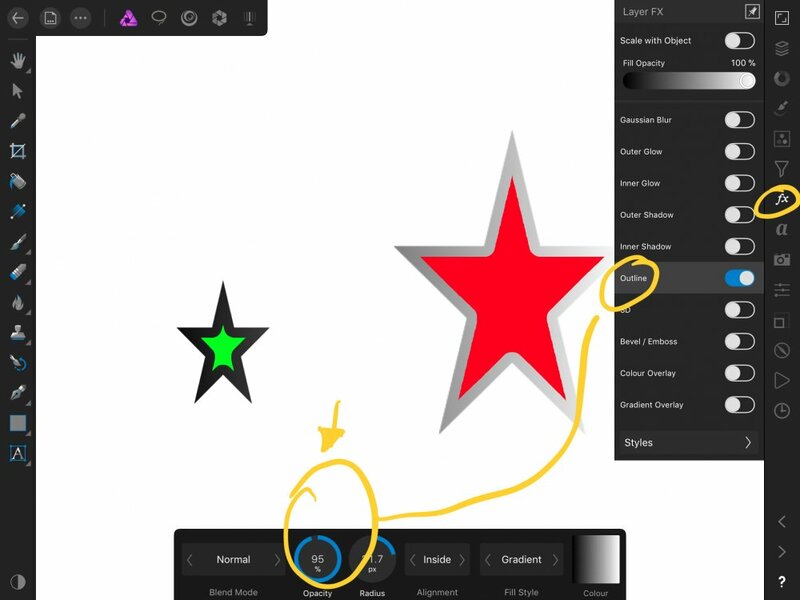 Would be nice to be able to select a point on the gradient line and adjust opacity at that point. As it is the opacity control is disabled until the gradient line is closed, at which point the opacity control is enabled but it effects the whole gradient. I can't see a way to achieve what you want to do.